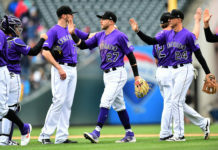 The Rockies may have slowed down a bit in recent weeks, but certain players have not let up, and the fans are taking note. 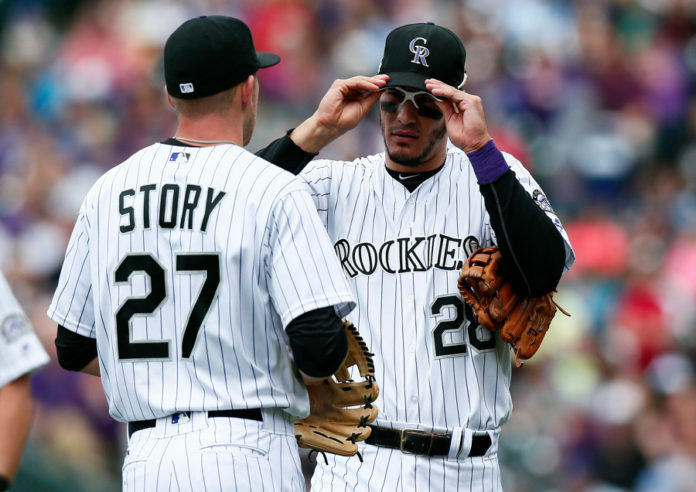 On Wednesday, Major League Baseball released the 1st All-Star ballot update, with Trevor Story and Nolan Arenado near the top. 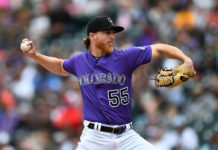 Story is currently in second place, behind the Cubs’ Addison Russell by a mere 10,000 votes, but his offensive stats suggest he should be ranked slightly higher. Story is currently batting .260, compared to Russell’s .246. Story also has ten more home runs and six more RBIs than Russell. The bigger story is perhaps how the league leader in home runs, Nolan Arenado, is somehow in second place behind Kris Bryant. Bryant, who is leading by around 180,000 votes, is having quite the encore to his Rookie of the Year performance, batting .281 with 11 home runs, and 37 RBIs. Arenado however, is batting .287, with a league-leading 16 home runs and 43 RBIs. The 1st #ASG ballot update has been released. After the results were released, the Rockies Twitter account was shocked, insinuating that at least, Arenado should be leading the pack. Both Story, and Arenado have had stellar starts to the 2016 season, and have arguably been doing more for the Rockies, than Russell and Bryant have for the Cubs. 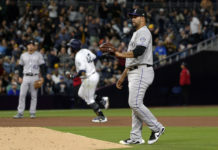 The All-Star selection process is a fan vote, though, so it’s up to Rockies fans to get out the vote and put their guys on the field in San Diego come July.